This column was written by Kathryn Jean Lopez. A Washington Post reporter once described evangelical voters as "poor, uneducated, and easy to command." As we edge closer to the 2008 presidential elections, count on the press being the uneducated ones — easily led by their farcical view of religious Americans. In a recent Bloomberg/Los Angeles Times poll, more than a third of registered voters polled said they would not vote for a Mormon presidential candidate. 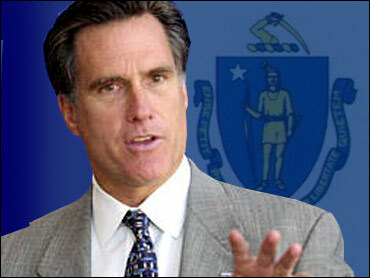 Mitt Romney, the Republican governor of Massachusetts, happens to be a member of the Church of Jesus Christ of Latter-day Saints, and is a leading contender for the GOP ticket; so "the Mormon question" has been a hot topic in some political circles. But although, among the speculators, it is widely believed that evangelical Christians would no-way, no-how vote for a Mormon, the poll numbers hint that Romney's real obstacle might be a much more traditional political one. Looking at the numbers, John C. Green, a religion-and-politics expert at the University of Akron, points out, "There appears to have been an increase in the skepticism about voting for a Mormon for president since the late 1990s." Green speculates: "This increase may reflect the opposition to Mormons among evangelicals and other conservative Christians. But it also may reflect opposition from liberal Democrats and seculars who recognize Mormons as a socially conservative group." In the 2006 poll, self-described "liberal Democrats" were those most likely to oppose a Mormon candidate. However, these current generic numbers, Green says, "don't necessarily predict outcomes. The reason is that the candidates are real people with records, skills and programs — all of which can matter more at the ballot box than generalized opinions about religious groups." So as the discussion moves from an anonymous Mormon candidate to the real, live Mitt Romney, and from abstract speculation to actual primaries and caucuses, polling will become more meaningful. Those opposed to a generic Mormon candidate may reveal that their opposition is prompted much more by political ideology than by sectarian concerns about religion. Michael Cromartie, who runs the Evangelical Studies Project at the Ethics and Public Policy Center in Washington, D.C., has observed: "Most evangelicals do perceive Mormonism to be a cult and are deeply troubled by its theology. But this does not mean they would not vote for someone like Gov. Romney." When they vote for president, they are voting not for a pastor or confessor, but for a political leader — and in that arena, evangelicals and Mormons have much in common. Rewind to April 2005 for a hint at how theological differences fade once we start talking politics. Some of the most heartfelt remembrances of Pope John Paul II came from evangelical Christians in Congress. Now, true, a Catholic has already been president, and my crowd (I'm Catholic) is bigger that the Salt Lakers, so folks are a bit more used to us; but papists and evangelical Protestants do have some not-minor theological differences. Yet on abortion and cloning and gay marriage — which Mormon Romney has some experience fighting in his oh-so-blue Bay State — there's a real political and cultural bond that transcends theological differences. I might not go to church with him, but I can work with him. And if I were a conservative evangelical Protestant, I'd certain consider voting for someone who talks about a culture of life in the way Romney does. The media, naturally, will continue to miss the real story: the fact that Romney's convictions, as they are translated into politics, might make him more, rather than less, appealing to evangelicals. This isn't just conservative grousing, either: CNN political analyst Bill Schneider recently remarked, to the L.A. Times, that "the press is one of the most secular institutions in American society. It just doesn't get religion or any idea that flows from religious conviction." So can a Mormon be president? Save that question until Romney announces. And ask it again after people have had some more exposure to him, and can reference some speech he gave — instead of having their quickest thought-association for "Mormon" in current events be an HBO show about polygamy. And if and when some opponent tries to use his religion against him as Democrat Ted Kennedy (yes, brother of the religion-and-the-presidency-taboo-breaker Catholic JFK) did in his 1994 Senate race with Romney, Americans will see it for what it is — that old-time, hardball, sometimes-unholy politics. Kathryn Jean Lopez is the editor of National Review Online.